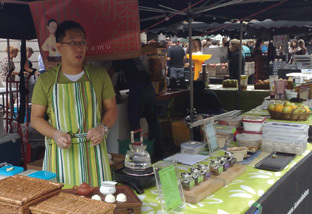 We have just done teanamu’s first market stall at Covent Garden Piazza, and it was a blast! We met people from all over, students from Spain, families from Australia, couples from Taiwan, Italians, Croatians, it felt like being at the cross-roads of the world! I brewed several teas during the day for passers by to share, lychee black and honey orchid phoenix oolong among them, in the gong fu cha style, and I chatted with all and sundry about the teas, fielding as many questions as I could manage. I realize I love talking and educating people about tea and cooking with tea, and that people are fascinated once we engage with them face-to-face. People have been wrongly educated into having very low expectations of tea, so that they think only of milky ‘breakfast tea’ of the poorest, scrapings-off-the-floor variety, and often they imagine that they don’t like the taste of green tea and certainly don’t expect green tea patisserie to grab them! It’s great to show them how lovely the good stuff is! We got terrific feedback about the freshly-made-on-the-spot vegetarian onigiri sencha rice balls as well as the delicate little patisserie I’d made – green tea butter biscuits and oolong madeleines. A lot of people were curious about the goji berry matcha cupcakes and the white tea cantuccini, and imagined them to involve pistachio, which they don’t at all. They seemed to love them once they tasted them though! And the look of the cupcakes attracted a lot of admiration. 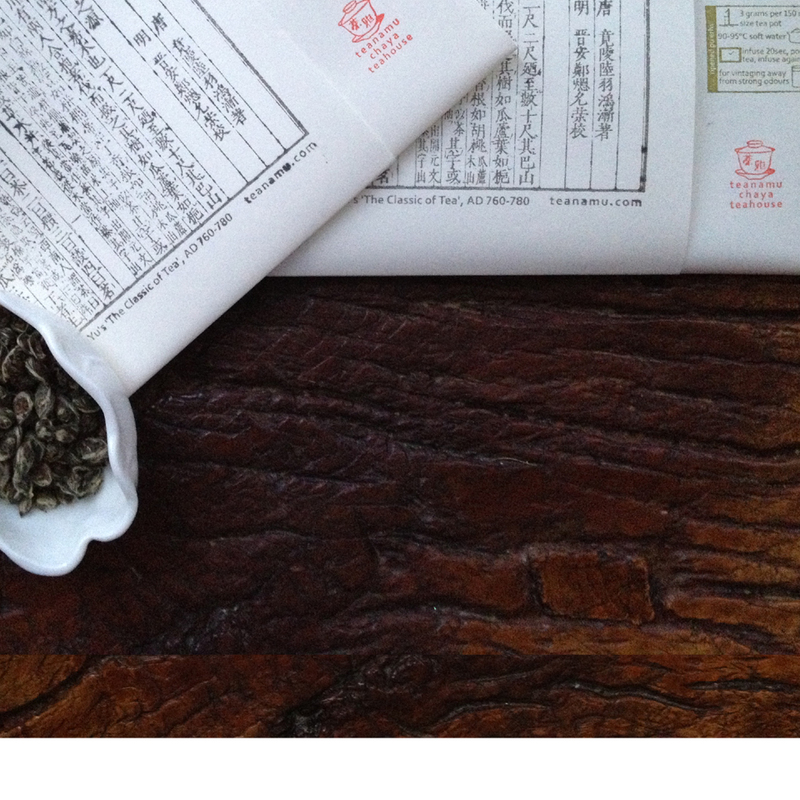 We were gratified to get plenty of compliments about our new tea packaging with the launch of teanamu’s online tea store. We were ready for the predicted rain showers, but no-one foresaw the force-whatever gales that blew our products and leaflets all over the ‘shop’ and necessitated some last minute re-arranging of our setting-up plans. I can only say, thank you to whoever invented blu-tack and sticky tape! I want to say, I feel very blessed to have been introduced by Kavey of ‘Kavey Eats’ to the UK Food Bloggers Association and thence to this opportunity of a stall at Covent Garden market. This helped give me a great last big push and motivation to get the teanamu e-shop up and running. I am also very touched by the friends and family who took the trouble and time to come and support us. Thank you!! Thank you too to Ben and Nick who run the market so efficiently and calmly and particularly to Ben, who magically appeared within five seconds whenever we sent a distress call to his mobile! 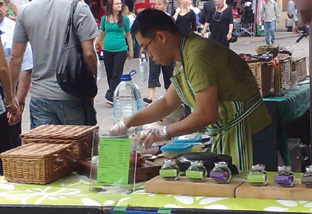 We look forward to hosting the UKFBA’s Covent Garden stall again on 17 September. We will fine tune our offerings for that date, so watch this space! Off to New York and San Francisco now for a tea-packed fortnight of tasting, discovery and exploration!! The stall presentation looks fantastic! Sounds wonderful. I am sorry I missed it. I wish I lived in london sometimes. This is definitely something sad about the UK. Tea has been reduced to a loss leader that draws people in for its low price. It’s good that it’s thus available to everyone no matter what the status of their pocketbook. But the perception of what tea can be has suffered. Hi Pei! Let me reiterate, I absolutely lovedyour little patisserie! I managed to save some to have the next day as well, although it was difficult. Hope to see you again very soon. I’m very glad you loved the tea patisserie! 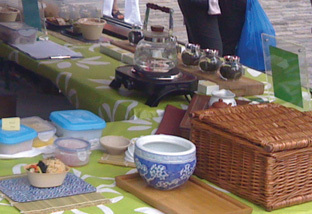 Will do more oolong madeleines as it’s your favourite for 17 Sept covent garden stall. Am also planning 1 or 2 more tea patisserie if I can get help to make them. See you soon!